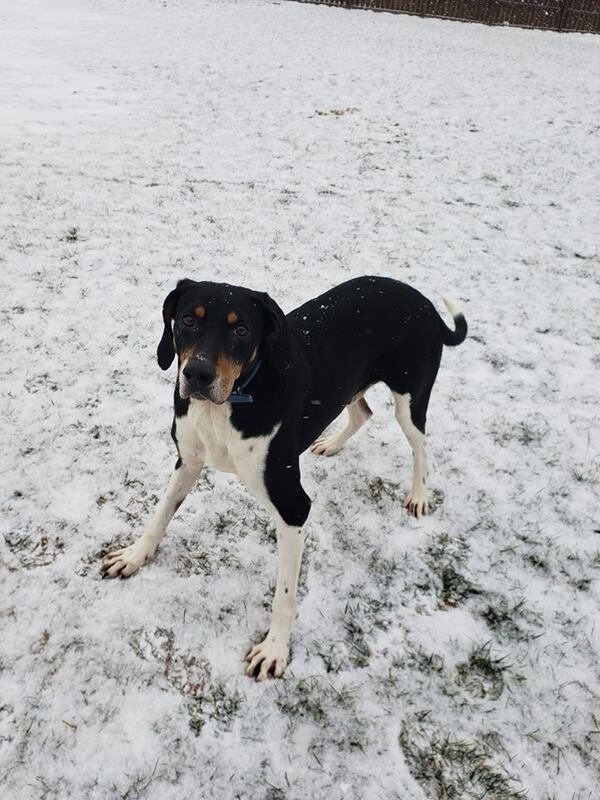 Dobby is a 60 pound three year old Treeing Walker Coonhound. He came from a shelter in Kentucky in early 2018 and was relocated to the humane society in Dayton, OH. Dobby struggled in the shelter environment in Dayton and so was transferred to Christian K9 Academy for some one on one training and behavior modification. During his time at Christian K9 Academy, Dobby has never shown any forward aggression towards people over food or toys. However, while at the shelter in Dayton, Dobby did exhibit aggression over food and toys. After behavioral therapy, food and toys can be taken from him without any reactivity. However, full knowledge of his past history is important to keep in mind. Dobby would do well in a home without young children. He is fine with kids 13 and older and needs a mildly active environment. He likes to relax but also loves to play! He walks well on a leash and is always willing to please his handler. He would love to continue training and working with his new family! Please call us to meet with him 937-265-5178 or fill out an adoption application and email it to us at wagsinn@gmail.com.